HSP, HIGHLY SENSITIVE PERSON, does that fit you? 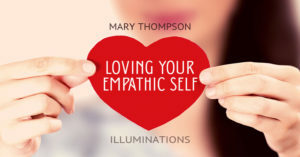 Have you been told you have too big a heart, too nice, too sensitive, too empathic? Hard to say no? Somewhat intuitive? Feel discomfort in your stomach every now and then? Drained sometimes after being in crowds or near someone? Come learn why, what this is, how to work with and protect it. Empaths, You Are Not Alone! 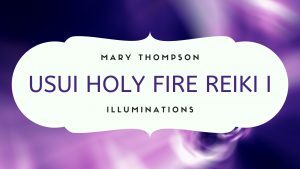 CONTINUATION OF THE INTERNATIONAL CENTER OF REIKI TRAINING (ICRT) HOLY FIRE REIKI PROGRAM. Day includes skill development, deep meditative ignitions, introduction of symbol use, the giving and receiving of Reiki and more! One becomes a Reiki practitioner following this class. 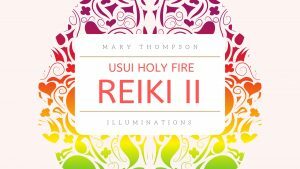 Teacher, Mary Thompson, hails 19+ years as a Reiki Master Teacher.